When you’re out shopping for a pair of blues, it’s quite common to find yourself feeling a tad, well, blue by the uninspired options in your orbit. 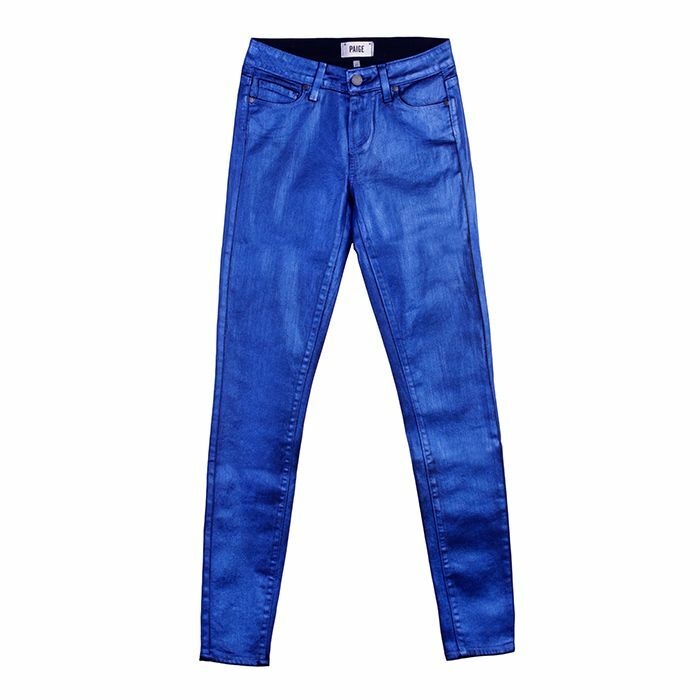 Once you’ve seen a pair of jeans, you’ve seen them all, right? 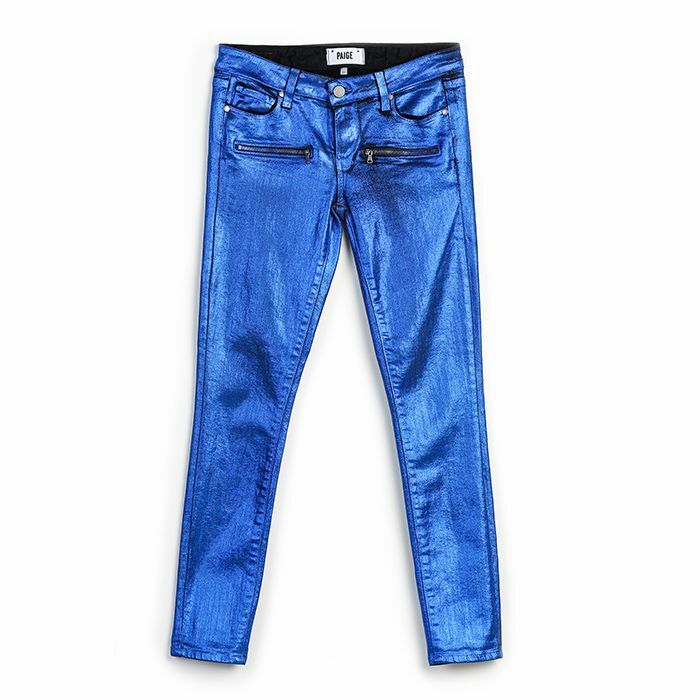 Wrong—that’s where Paige Denim’s F/W 14 collection comes in with a cosmically cool take on everyday denim. 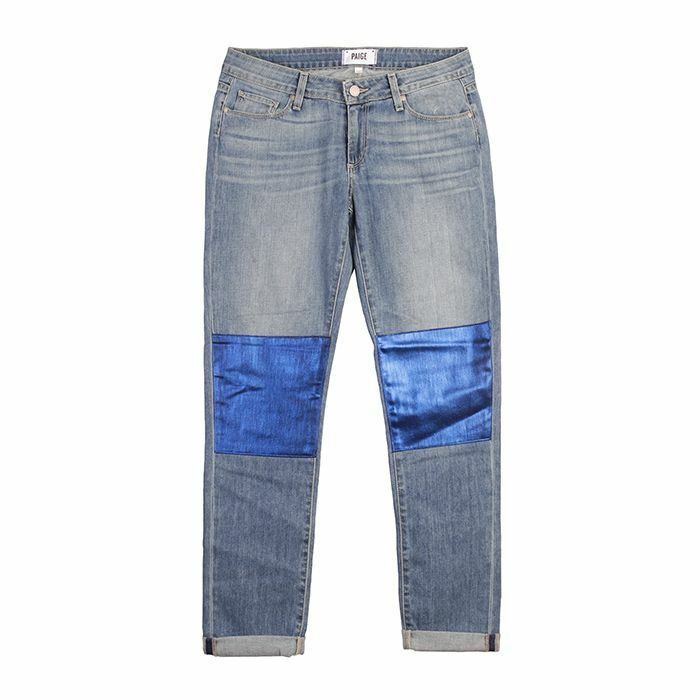 From high-shine skinnys to mixed-media patchwork, these jeans are incredibly versatile and our guess is you’ll wear yours to infinity and beyond this fall. Scroll down to shop these stellar Paige Denim pieces. Let this pair stand out by pairing it with a chic tailored blazer and ankle-strap heels. A deep russet hue that’s slightly dialed back on the shine is the perfect neutral for autumn. 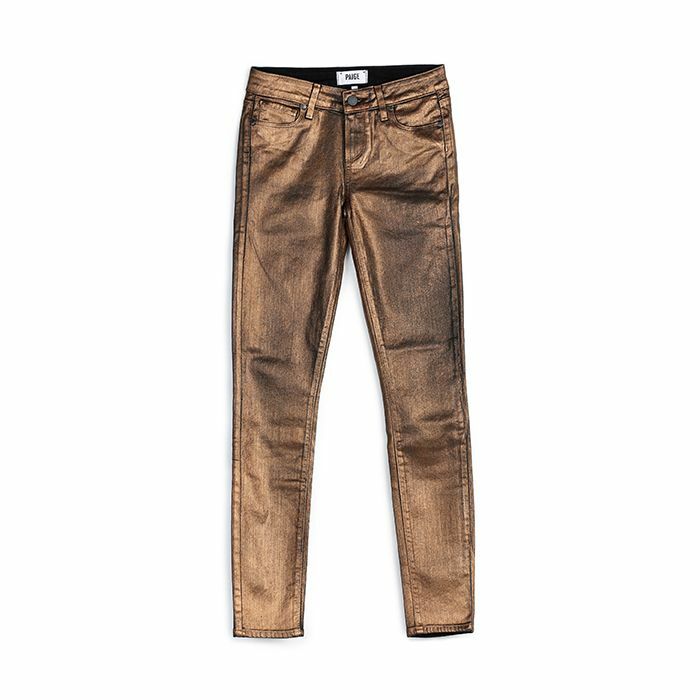 We’re obsessed with the metallic patchwork on these ultra-versatile boyfriends. 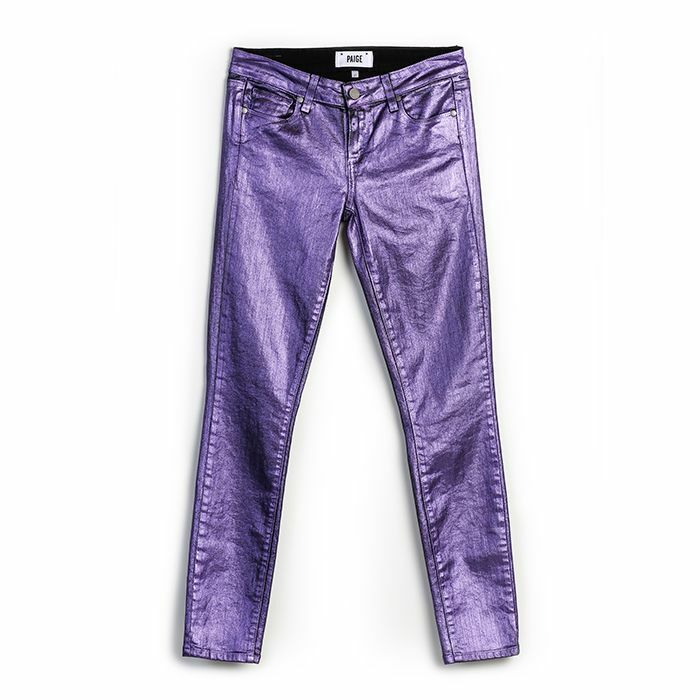 Pair this punchy purple with a subtle white chiffon top and sleek pumps. Front-zip pockets play up the cool factor of these candy-coated blues. Which metallic pair are you going after this fall? Sound off in the comments below!